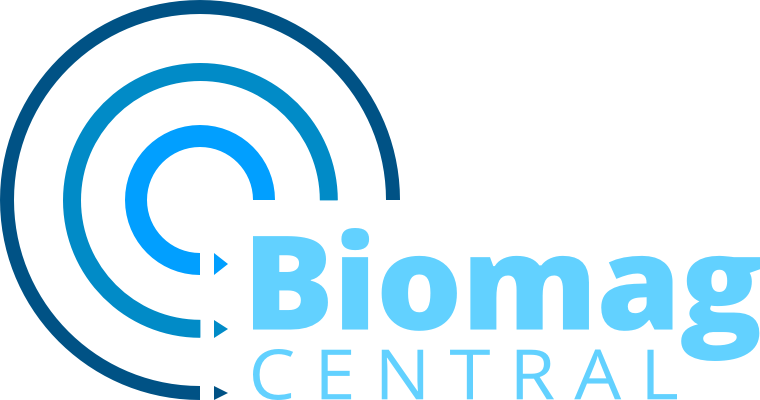 If you have a position open in your group, please contact us (news@biomagcentral.org) to post it here. We are seeking to make key strategic appointments to enhance the Centres already substantial international reputation in the area of brain, cognition and behaviour. The centre brings together researchers developing and applying new Cognitive Neuroimaging Techniques and hosts a state-of-the art brain imaging facility (3T-fMRI, MEG/EEG, TMS/TES), with links to nearby 7T-fMRI. It is part of a multidisciplinary platform, crossing fundamental and social neuroscience, with an important theme in digital humans (artificial intelligence) and social robotics (in collaboration with computing science). We are seeking to appoint researchers with strong track records in neuroimaging and/or non-invasive brain stimulation, and who can bridge across disciplines of our platform. We will have several opportunities at all levels of appointments (Lecturers, Senior Lecturers, Readers and Professors). If you are interested, please send a mail to CCNi-vacancies@glasgow.ac.uk with a CV, and/or with questions for further information. The Wu Tsai Neuroscience Institute’s team on Neurodevelopment is seeking a post-doctoral fellow to work on a project whose goal is to understand how the interplay between structural development, functional development and experience shape brain computations at the neural level. The Neurodevelopment team brings together seven Stanford labs whose expertise spans human and non-human primate neuroscience and state-of-the-art computational modeling. A central part of the effort is to use advanced structural imaging approaches to quantitatively measure the development of tissue properties in developing infants and to combine these measurements with source-imaged measurements of visual system functioning. The position will bridge the Stanford Vision and Neuro-Development Lab, directed by Dr. Anthony Norcia (svndl.stanford.edu) and the Stanford Vision and Perception Neuroscience Lab (vpnl.stanford.edu), directed by Dr. Kalanit Grill-Spector. A requirement of the position is prior research experience in imaging-based EEG/MEG source-localization. Experience in the use of individual participant structural MRI for the creation of head models is highly desirable. Prior experience in brain development or fMRI is also desirable, but not a requirement. The position is for an initial appointment of one year, renewable for a second year contingent on progress. Send a CV, statement of interest and the names of at least two academic references to amnorcia@stanford.edu and kalanit@stanford.edu with “Neurodevelopment post-doc” in the subject line. The post-doctoral fellow in this position will lead two research projects: (1) evaluation of a device-independent real-time imaging software we have been developing for our unique pediatric whole-head MEG system (babyMEG, Okada et al 2016); and (2) evaluation of a new whole-head pediatric MEG system (conformal MEG or CMEG) that is based on optically pumped magnetometers (OPMs) instead of the SQUID sensors used in the babyMEG. The fellow is expected to evaluate the software on the EEG machines that are being used in the Epilepsy Division, Dept. Neurology, of Boston Children’s Hospital, and on the babyMEG. The fellow is also expected to evaluate and compare the babyMEG with the CMEG in healthy children and children with epilepsy. The fellow will work with the Director of the BCH MEG Program who is responsible for both projects, an Instructor who is the manager of the MEG program, a faculty member who works with the EEG team and two RAs who are at the BCH, a team at Martinos Center for Biomedical Imaging, MGH, which has been developing the device-independent software (MNE-CE) and a team at the Univ. Colorado Boulder which has developed the CMEG. We have an exciting opportunity within newly established labs of Satu Palva and Matias Palva at the University of Glasgow. Applications are invited for an experienced, dedicated and enthusiastic full-time post-doctoral research fellows to work with the Center for Cognitive Neuroscience, Institute of Neuroscience and Psychology, University of Glasgow. The successful candidates will work on a 2-year projects to investigate the role on brain oscillations and synchronization in visual cognition. The tasks will be to collected magnetoencephalography (MEG) data, perform the data-analyses and integrate these with computational modelling and transcranial magnetic stimulation (TMS) data. Applicants should possess a PhD degree in a relevant field (or be about to graduate). Prior experience with an excellent academic record in the field of MEG signal processing and analysis is essential. Prior experience in computational modelling and / or TMS is considered an advantage but not necessary. The postdoctoral researcher will be expected to prepare the results for academic publication, to present at national and international academic conferences, and to engage in public activities. satu.palva (at) glasgow.ac.uk or matias.palva (at) glasgow.ac.uk. Deadline for application 18 February 2019, but review of applications will begin immediately and continue until the position is filled. Postdoctoral Position in Neurophysiology. The Neurosciences Department of the Cleveland Clinic’s Lerner Research Institute seeks to hire a postdoctoral fellow to support federally-funded projects exploring novel neuromodulation approaches for the treatment of Stroke and Parkinson’s disease. The position forms part of our interdisciplinary program that brings together Neuroscientists, Biomedical Engineers as well as physician-scientists from the Center for Neurological Restoration and the Department of Radiology within the number two ranked hospital in the United States. The successful applicant will participate in work that combines behavior assessments of therapeutic efficacy with both invasive (i.e., deep brain stimulation) and non-invasive neurostimulation techniques to carry-out a systems-based approach to understanding neurophysiological changes across the sensorimotor brain networks in both humans and preclinical models of disease. Ph.D. (or equivalent) students with relevant education or experience in neurophysiology, biomedical engineering, or motor control are invited to apply, though preference will be given to candidates with experience in array-based multi-unit neuronal or local field potential signal processing techniques. The neuroscience research community at Cleveland Clinic spans the research and clinical institutes and includes neuroscientists, biomedical engineers, physicists, mathematicians, geneticists, molecular biologists, and physician-scientists. Investigators within the neuroscience community are supported by one of the top and largest clinical neurological institutes in the country, comprised of more than 200 medical and surgical specialists dedicated to the treatment of neurological and psychiatric disorders. Neuroscience research is supported by state-of-the-art molecular biology labs, small and large animal neurophysiology labs, small animal MRI, the largest single center repository of human intracranial electrophysiology data bank from patients with epilepsy (subdural grids and SEEG depth electrodes) and one of the most active and integrated neuromodulation centers in the country. Exceptional collaboration possibilities between laboratory and clinical scientists, and access to large populations of patients provide a unique opportunity for translational investigations. Please send your curriculum vitae, a brief description of research interests and career goals, and contact information for three references to Dr. Kenneth Baker, Department of Neurosciences, via email at: bakerk6@ccf.org. We are offering a position as a Biomarker and Experimental Medicine Leader in Neuroscience at Roche in Basel, Switzerland. The position is based in the Biomarker and Translational Technology (BTT) group of the Neuroscience, Ophthalmology, and Rare Diseases (NORD) department in Roche Pharma Research and Early Development (pRED) in Basel, Switzerland. The BTT group utilizes the most advanced methods (including digital biomarkers, imaging (MRI and PET), EEG, fluid biomarkers, genetics and cognitive testing) and analytical approaches to support scientific decision-making in drug development. Roche has one of the largest and most exciting neuroscience portfolios ranging from programs in neurodevelopmental (e.g. ASD) and neuropsychiatric (e.g. Schizophrenia) to neurodegenerative disorders (e.g. AD, PD, MS) and includes rare genetic disorders (e.g. Angelman Syndrome, Huntington's disease, SMA). We are looking for a highly motivated, creative, collaborative and innovative standout colleague with very strong quantitative and methodological skills, and a deep understanding of neuroscience, preferable with experience working in neuropsychiatric or neurological disorders. Overview: Applications are invited for a Postdoctoral Research Fellow available at the Massachusetts General Hospital Athinoula A. Martinos Center for Biomedical Imaging (www.nmr.mgh.harvard.edu). The postdoctoral fellow will also be affiliated with Harvard Medical School. We are using electrophysiological recordings in combination with anatomical and functional MRI to understand the functions of the healthy brain and how they are altered in neurological and psychiatric diseases. We capitalize on the insights from our basic and clinical research to develop new methods and tools to be applied in clinical practice. Responsibilities: The postdoc will work in an NIH-funded project whose overall aim is to provide well-documented and tested novel analysis software to promote both basic neuroscience and clinical research applications using MEG and EEG. In particular, during the past eight years we have developed, with NIH support, the MNE-Python software http://www.-martinos.org/mne/, which covers multiple methods of data preprocessing, source localization, statistical analysis, and estimation of functional connectivity between distributed brain regions. In this new project we will extend our software to meet the needs of a growing user base and reflect recent developments in the MEG/EEG field. Requirements: Candidates should have a Doctoral degree in biomedical engineering, computer science or related fields. Strong Python programming skills are required and background and experience in acquiring and analyzing MEG/EEG data are highly desirable. Candidates need to be able to work in a modern software development environment and be familiar with controlled software development processes. A successful candidate is able to work in a dynamic, international, and collaborative work environment. He/She will gain experience in recording and analyzing electrophysiological data, working with state-of-the-art brain mapping technologies as well as engaging in top-level research. Familiarity with MEG/EEG and MRI analysis software packages, in particular MNE-Python and FreeSurfer is highly beneficial. Overview: Applications are invited for a postdoctoral position available at the Massachusetts General Hospital Athinoula A. Martinos Center for Biomedical Imaging (http://www.nmr.mgh.harvard.edu). The postdoctoral fellow will also be affiliated with Harvard Medical School. Our MEG/EEG laboratory is using electrophysiological recordings in combination with anatomical and functional MRI to understand the functions of the healthy brain and how they are altered in neurological and psychiatric diseases. Our ultimate goal is to capitalize on the insights from our basic and clinical research to develop new methods and tools to be applied in clinical practice. Responsibilities: The Postdoctoral fellow will work in an NIH-funded project which aim is to develop a device-independent and real-time capable software (MNE Scan). MNE Scan is based on the MNE-CPP framework (www.mne-cpp.org) and will significantly increase the ease and efficiency of acquiring, monitoring, analyzing, and integrating electroencephalography (EEG), magnetoencephalography (MEG), electrocorticography (ECoG), and stereotactic EEG (SEEG) data. The MNE Scan software will format incoming electrographic data from any recording device for EEG, ECoG, SEEG, and MEG, store the data, carry out preprocessing for noise reduction and signal conditioning, display the incoming data in real time, and carry out the data analysis at the level of active tissues instead of the sensor level. Its realtime capability will provide immediate feedback to clinicians, enabling them to use this information for improving diagnosis and surgical management of epilepsy. Furthermore, MNE Scan will be used during neurofeedback experiments, including brain state dependent stimulation. The Postdoctoral fellow will work with other members of the investigative team to identify and develop new scientific use cases and research questions for the MNE Scan software described above. He will also work together with other investigators in the team to enhance source estimation and connectivity estimation methods to work efficiently in the real-time environment. Requirements: The successful candidate must hold a Ph.D. degree in biomedical engineering, computer science, or related fields. A successful candidate will benefit from working in a dynamic, international, and collaborative supportive work environment. He/She will gain experience in recording and analyzing electrophysiological data, working with state-of-the-art brain mapping technologies as well as engaging in top-level research. Previous experience in acquiring and analyzing MEG/EEG data is a strength. Strong C++ programming skills and experience in the Qt toolkit are highly desirable. It is preferred that the candidate has familiarity with MEG/EEG and MRI analysis software packages, in particular MNE and FreeSurfer. Welcome to the MNE Family! Massachusetts General Hospital is an equal opportunity employer. Full-time employees receive full benefits, competitive salaries, and excellent resources for career development. Applications are invited for the following two post-doctoral research associate positions at Northern Ireland Functional Brain Mapping (NIFBM) Facility, Magee campus, Ulster University, Derry~Londonderry, UK. The post-holder will be required to work on a project aimed at developing advanced statistical methods for functional brain mapping using multiple complementary modalities of MEG, EEG, MRI, and PET. It may include advancing algorithms for estimating brain connectivities, localisation of activated brain regions, and investigating neuronal adaptation using MEG data. The position is currently for 1 year, with possibility for further extension subject to securing funder’s approval. The post-holder will be required to undertake experimental and theoretical research related to developing an advanced Neuroimaging Data Analytics (NDA) tool that can automate the analysis of neuroimaging data obtained from multiple complementary modalities of MEG, EEG, MRI, and PET. It may include designing, implementing, and maintaining various components of the NDA tool, which will include a novel software architecture that facilitates flexible user-friendly interactions and automatic segmentation of neuroimaging data. The position is currently for 1 year, with possibility for further extension subject to securing funder’s approval. For more information, please contact Prof. Girijesh Prasad, Director NIFBM facility. E-mail: g.prasad@ulster.ac.uk, Phone: 028 71675645. The research groups of Satu Palva and Matias Palva at the Neuroscience Center, University of Helsinki, Finland, invite applications for two post-doctoral researchers. The postdoctoral researchers will participate to a large-scale multinational EU collaboration project “The Virtual Brain Cloud”, with top-level consortium partners. The project aims to develop a computational model platform for personalized medicine for neurodegenerative brain diseases. The post-doctoral researchers will carry out connectomics and brain-dynamics research using magnetoencephalography (MEG) and stereo-electroencephalography (SEEG) data in association with MRI-based functional and structural connectomes. The electrophysiological connectivity and brain dynamics insight will be integrated with the computational model platform and used for model validation. The positions are available for 2 + 2 years starting January 2019 (flexible). We are looking for enthusiastic and committed postdoctoral researchers with an excellent academic record in the field of human electrophysiological signal processing (MEG, EEG, iEEG) and analysis. Applicants should possess a PhD degree in a relevant field (or be about to graduate). Prior experience in computational modelling is considered an advantage. The positions also require good communication skills with written and spoken English. Positions are ideal for candidates who would like to combine experimental and theoretical approaches from neuroscience, cognitive psychology, computer science, and neurotechnology. The salary of the successful candidate will be based on level 5 of the demands level chart for teaching and research personnel in the salary system of Finnish universities. In addition, the appointee will be paid a salary component based on personal performance. The starting salary will be 2894-3534 eur/month, depending on the appointee’s qualifications and experience. A six-month trial period will be applied. Application should include the following documents as a single pdf file: (1) a cover letter of max. 2 pages including the applicant motivation and a brief statement of research interests and background, (2) a CV and list of publications, and (3) the names and email addresses of two persons capable of providing a recommendation for the applicant. Informal enquiries should be sent to satu.palva(at)helsinki.fi or matias.palva(at)helsinki.fi. Please submit your application using the University of Helsinki Recruitment System via the Apply for the position link below. Applicants who are employees of the University of Helsinki are requested to leave their application via the SAP HR portal. Deadline for applications is 15.2.2018 but review of applications will begin immediately and the recruitment will continue until the suitable applicant is found for both positions. An exciting opportunity has become available for A Postdoctoral Researcher in Human Motor Neuroscience (for 4 years) in the newly funded Freigeist research group “Motor Learning” led by Dr Max-Philipp Stenner at the Department of Neurology and Leibniz Institute for Neurobiology in Magdeburg, funded by the Volkswagen Foundation (http://portal.volkswagenstiftung.de/search/projectDetails.do?ref=92977). Through an innovative combination of non-invasive and invasive human electrophysiology in healthy individuals and neuropsychiatric patients, our group is studying how the human brain predicts consequences of our own actions, how these predictions influence our perception and our subjective experience of action, and how they guide motor learning. We are particularly interested in the role local and interregional neural synchrony – neural oscillations – play for the integration of sensory and motoric information underlying these processes. A long-term goal of the group is to set the grounds for brain stimulation techniques targeting neural synchrony for improved motor learning, and to understand pathophysiological implications of a deficient motor prediction system, e.g., in ataxia. The Leibniz Institute for Neurobiology (LIN) has a long tradition of world-leading research on learning and memory, both in animals and humans. The Motor Learning Group at the Leibniz Institute has first-rate access to Magdeburg's excellent, state-of-the-art facilities for non-invasive human electrophysiology and neuroimaging, including MEG, EEG, 7T & 3T MRI (all on the same campus). All facilities are supported by expert IT and physics staff. In addition, a very close collaboration exists with the Departments of Neurology and Stereotactic Neurosurgery (same campus) which allows for systematic invasive electrophysiology in humans and, more generally, studies in clinical populations. The Motor Learning Group is participating in Magdeburg’s Collaborative Research Center 779 (www.sfb779.de). The Leibniz Institute and Department of Neurology, together with several other neuroscience institutes on the same campus, provide a vibrant, international, highly inspiring, friendly and supportive research environment. Magdeburg is a growing, intriguing city with lots of activities beyond work (second greenest city in Germany) and a familiar academic community. The successful candidate will design, conduct, analyse and publish experimental studies into functions of neural oscillations for predictive motor control. This entails designing and conducting studies that combine elegant behavioural paradigms with EEG, MEG, and invasive (intracranial or spinal) recordings, and establishing, together with the other group members, a setup for motion tracking plus online movement feedback in MEG. By working on and extending this programme, the successful candidate will be able to consolidate his scientific independence and qualification for a later group leadership of his own. solid statistical skills and high proficiency in spoken and written English are mandatory. Suitable candidates should have a PhD in neuroscience, engineering (with a previous focus on neuroscience), psychology, or related. The position is for four years. A preferable starting date is spring 2019, subject to negotiation. The position will remain open until filled. Salary is based on E 13 TV-L (i.e., basic salary (gross) between ~3700,- and ~4200,- Euros/month). The application should include the following documents (in a single PDF-file): 1) Cover letter (max 2 pages) providing a brief description of current research work and achievements, research interests and motivation; 2) Curriculum vitae, including a list of publications; 3) contact details of two scientists who can provide references. by that deadline. Should you require any further information, please contact Dr Max-Philipp Stenner. Karolinska Institutet is one of the world’s leading medical universities. Its vision is to significantly contribute to the improvement of human health. In October 2013 Karolinska Institutet inaugurated in a NatMEG lab. The NatMEG lab is the first and only research laboratory in Sweden for whole-head measurements of neuronal brain activity using magnetoencephalography (MEG). NatMEG is a national facility, available for researchers from all across Sweden.Because of this, projects at NatMEG span across the areas of instrumentation (e.g. next generation SQUIDS), clinical applications (epilepsy evaluations),clinical neuroscience (e.g. Parkinson’s and Alzheimer’s disease, ADHD, autism, hypertension, and preterm infants) and cognitive neuroscience (e.g. memory, language, attention, perception, pain, music, decision making, emotion recognition).Please visit http://www.natmeg.se for more information. Applications are invited for a postdoctoral position at NatMEG, Karolinska Institutet, within an ongoing project aimed at new diagnostics for Parkinson´s disease (PD) and related prodromal and at-risk stages of this condition. The position is for minimum 1.5 years, with the possibility of extending the position for a maximum of another 2.5 years, given extended funding of the project. The successful candidate will collect MEG data, develop experimental protocols, and develop analysis methods aimed at characterizing disease severity and disease progression in individuals with PD, and at detecting individuals at risk of developing this condition. The candidate will be part of an ongoing project, but will be welcome and expected to influence the design of studies, experimental design, choice of analysis approach, etc. within the project. • Has very strong skills and expertise in MEG analysis (preferably in at least FieldTrip and/or MNE). • Has extensive MEG hands-on experience from MEG data collection (preferably on an Elekta Triux or Vectorview system). • Has strong skills and expertise in designing and setting up MEG/EEG experiments. • Has a background and research interest within the cognitive neuroscience or clinical neuroscience domain. • Has interest in, experience from, and/or expertise regarding Parkinson’s disease or movement disorders. • Has experience from MEG data collection on patients. • Has experience from organizing and sharing data and analysis scripts from MEG projects. • Is independent, professional, and service minded. • Enjoys interacting with researchers and research subjects. Major Accountability: Responsible to the MSI technical and medical Directors to ensure the proper of MSI/MEG procedures, the technical integrity of testing and participate in the care of patients undergoing MSI testing. Work cooperatively with the interdisciplinary team to provide quality patient care and to ensure a friendly, safe and customer service oriented MSI Lab. •	Perform the following responsibilities effectively, independently, and according to protocols, procedures, and established practice in an accurate and timely manner. •	Knowledge and experience of using EMR & Practice Management System. •	Perform MEG data acquisition, including mounting positioning coils, digitization, and recording. •	Develop and maintain MSI database. •	Troubleshoot equipment problems independently. •	Archive and backup MSI data. •	Process all MSI patient-scheduling requests for procedures. •	Provide back-up coverage and/or assistance for insurance approval/appeals. •	Work in collaboration with the MSI Directors, physician or other staff member initiating data projects, including: defining the project, planning the process, establishing deadlines, reporting progress at key junctures, and troubleshooting obstacles. •	Enter and manipulate patient data, as requested, into appropriate computer database. •	Perform clinical data analysis when requested. •	Compile and summarize data into a report form. •	Perform quality assurance audits on a regular basis. •	Assist with magnetoencephalography clinical and research procedures. •	Integrate MSI data with other studies as may be clinically indicated and/or requested by the ordering neurosurgeon/physician. •	Prepare data or other information as requested by neurosurgeons/physicians for community outreach including presentation at local, national or international meetings and/or marketing. •	Assist in development of new protocols for clinical or research purposes. •	Interact as appropriate with multidisciplinary team to provide information about MSI. •	Provide intervention for patient’s seizure occurrence. •	Develop and maintain positive working relations with all MEG employees and other departments as a responsibility in fulfilling all job functions. •	Minimum BA or BS bachelor degree in neuroscience, computer science, psychology or related fields, master’s level education preferred. •	Participate in national and international societies such as ACMEGS and/or ISACM. Position will operate under the newly adopted guidelines of the ACMEGS Clinical Practice Guideline Committee, February 2, 2011. American Clinical Magnetoencephalography Society Clinical Practice Guideline 4: Qualifications of MEG Personnel. MEG experience is preferred, but not necessary. •	Meet Allied Health Requirements established by credentialing hospital(s). •	Demonstrated ability to perform basic competency. •	Experience with Unix, Mac and PC computer systems, related to scripting, programming and data base management. •	Familiarity with research design and methodology preferably in the medical field. •	The successful candidate should be willing to get trained and learn new skills. •	Ability to communicate in English both oral and written. •	Ability to be detailed oriented. •	Ability to work independently and exercise good judgment as it relates to research. •	Ability to stoop, bend, twist, lean, and crouch multiple and repeated times. •	Ability to lift and carry up to 20 pounds repeatedly. •	Ability to push and pull up to 100 pounds, occasionally. •	Sit and/or stand in upright position for prolonged periods of time (up to 4 hrs). •	Ability to remain calm and demonstrate professional behavior in stressful situations. •	Ability to maintain effective working relations with varied levels of individuals, for example a range from a patient family member to a physician. •	Abide by confidentiality/privacy/security polices and practices as defined by Minnesota Epilepsy Group and HIPAA regulations. This job description is not intended to be all-inclusive and may be expanded to include other duties and responsibilities that Management may deem necessary. Aalto University is a community of bold thinkers where science and art meet technology and business. We are committed to identifying and solving grand societal challenges and building an innovative future. Aalto University has six schools with nearly 11 000 students and more than 400 professors. Our campuses are located in Espoo and Helsinki, Finland. Professor of Brain-signal Analytics to build his/her research program for making fundamental advances in science as an integral part of the vibrant scientific community of Aalto University. The position will be filled primarily at the Assistant or Associate Professor level. However, we also welcome applications by outstanding scientists for Full Professor level appointment. Health and wellbeing is one of the seven key research areas of Aalto University, and neuroscience and neurotechnology is a strategic focus area of the School of Science. The continued development of this field is vital for reaching Aalto’s strategic objectives in scientific excellence and societal impact. The tenure-track position will be placed in the Department of Neuroscience and Biomedical Engineering (NBE, http://nbe.aalto.fi/en/) where research methods range from cellular patch-clamp techniques to human neuroimaging using, e.g., magnetoencephalography (MEG), electroencephalography (EEG), functional magnetic resonance imaging (fMRI), near-infrared spectroscopy (NIRS), and navigated transcranial magnetic stimulation (nTMS) combined with EEG. NBE and its predecessors are world-renowned for their development of many of these technologies and their use in systems and cognitive neuroscience. The most advanced MEG (Elekta/MEGIN Ltd) and TMS (Nexstim Plc) devices are manufactured by spinoff companies of laboratories that now constitute NBE (Brain Research Unit of Low Temperature Laboratory and Laboratory of Biomedical Engineering). Current technology development (funded by ERC, FET Open, NIH, Academy of Finland and Erkko Foundation) at NBE includes the development of hybrid MEG–MRI systems, high-resolution MEG based on optically pumped magnetometers (OPMs), high-definition NIRS, and multi-locus TMS combined with EEG and fMRI. NBE hosts and develops a national open-access research infrastructure, Aalto NeuroImaging (ANI, http://ani.aalto.fi/en/) with 306-channel MEG, 3-tesla f/MRI, nTMS, and a behavioral laboratory. 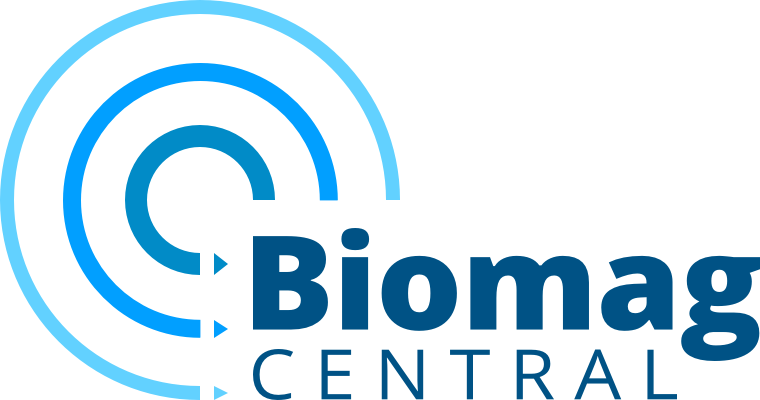 MEG and nTMS equipment are also available at the hospital campus’s BioMag Laboratory (jointly owned by Aalto, University of Helsinki and Helsinki University Hospital). NBE’s experimental research focuses on human sensory and motor functions, cognition, social interaction, emotional responses, and language processing. Experimental designs vary from tightly controlled to naturalistic stimulus designs. Neuroscience at NBE is intimately tied with the development and application of novel data-analysis methods, including machine-learning and complex-network analysis approaches that together with the advanced neuroimaging and -stimulation techniques enable major advances in the depth and range of neuroscience questions that can be addressed. NBE has close contacts and collaboration with the University of Helsinki, Helsinki University Hospital and the MEG and TMS manufacturers, as well as active collaboration with other departments of Aalto University and other Finnish universities. You have strong motivation and skills to develop and apply advanced signal-processing and estimation-theoretical methods to analyze data obtained from the brain by MEG, EEG, fMRI, or NIRS, ideally across multiple imaging modalities. When appropriate and useful, the signal-analysis methods can take advantage of sophisticated brain or tissue modeling and a priori information about brain activity and behavior. You will strengthen the faculty of NBE with an expertise gained from your previous innovative brain-signal-analysis studies. You are expected to act as a teacher in Aalto Master’s Programme in Life Science Technologies. Good knowledge and experience in neuroscience, neurotechnology, neurology, or related fields are considered essential for the job. You have excellent skills in mathematics and modern data-processing methodology and are able to develop practical and reliable methods that help solve the most urgent needs in experimental human neuroscience where signals from the brain must be interpreted for the benefit of science and the patient. As a professor at Aalto, you are expected to exercise and guide scientific research, to provide related higher academic education, to follow the advances of your field, to serve the Aalto University community, and to take part in societal interaction and international collaboration in your field. As an applicant you will be reviewed on the basis of your research, teaching and academic leadership and activity in scientific community. Please find general instructions for applicants, including language requirements and guidelines for compiling teaching portfolio and CV at www.aalto.fi/en/tenure_track/for_applicant . Head of Department, Professor Risto Ilmoniemi, tel. +358 50 5562 964 or, in recruitment process -related questions, HR-coordinator Mari Kaarni, tel. +358 50 316 0961. E-mails: firstname.lastname@aalto.fi. The aim of the project is to study the information transfer between brain areas during eye - hand coordination tasks. The project involves collecting and analysing magnetoencephalography data (MEG) from humans. The project would suit someone with an interest in gaining experience in signal processing of biological data. The student should have strong analytical skills and should also have an interest in working in a multidisciplinary environment. Interested candidates should send academic transcripts, CV and a letter of intent to Tatiana Kameneva, tkameneva@swin.edu.au. Responsibilities: We are looking for two highly motivated postdoctoral candidate to work on projects using MEG and structural MRI to study brain development (function and structure) in (1) typical developing infants and toddlers and (2) typically developing children and adolescents and children and adolescents with Autism Spectrum Disorder. You will be part of a collaborative multidisciplinary team (neuroscientists, physicists, psychologists, and study coordinators, research assistants and technicians). You will work on collecting and analyzing MEG data (infant MEG system and adult MEG systems), and help to write MEG + MRI papers for longitudinal studies examining brain development. MEG analyses focus on primary sensory encoding (auditory, visual, somatosensory), face recognition, and resting-state brain activity. Both postdoctoral positions are for 2 years, with the possibility to extend 3 additional years. These positions provides an almost unique opportunity to learn how to conduct longitudinal multimodal imaging studies in younger populations. Work environment: The Lurie Family Foundations’ MEG Imaging Center at The Children’s Hospital of Philadelphia (CHOP) is equipped with 3 MEG systems (CTF, Elekta, Artemis 123), a research dedicated MRI (3T Prisma), and 6 clinical/research MRIs. The mission of the research group is to conduct cutting-edge multimodality imaging research in typically developing children as well as children with Autism Spectrum Disorder and developmental disorders (e.g., intellectual disability, Rett syndrome, 47-XYY, 16p11.2 deletion). CHOP is a very highly ranked children’s hospital in the USA. Our center currently hosts 7 PhD researchers, 4 PhD Clinical Psychologists/Neuropsychologists, 6 MEG/MRI technicians, 2 postdocs, and 8 research coordinators and assistants, offering a multidisciplinary research environment. Additional information is available at: https://imaging.research.chop.edu/. The candidate should have a PhD in neuroscience, psychology, biomedical engineering, cognitive science, or related fields. The candidate should have good interpersonal skills, with experience working with a multimodal brain imaging team a benefit. Experience conducting electrophysiology research (EEG or MEG) is required. Previous experience conducting brain imaging research with infants and children is an advantage but not required. Salary is competitive. Both positions are available starting immediately, but the start date is negotiable. Interested applicants should email J. Christopher Edgar (edgarj@email.chop.edu) their CV and a separate letter describing research background and interests and why you feel you are a good fit for the infant or child/adolescent research project and this research team. Please also send two or three letters of recommendation. Children's Hospital of Philadelphia is committed to providing a safe and healthy environment for its patients, family members, visitors and employees. In an effort to achieve this goal, employment at Children's Hospital of Philadelphia, other than for positions with regularly scheduled hours in New Jersey, is contingent upon an attestation that the job applicant does not use tobacco products or nicotine in any form and a negative nicotine screen (the latter occurs after a job offer).Children's Hospital of Philadelphia is an equal opportunity employer. We do not discriminate on the basis of race, color, gender, gender identity, sexual orientation, age, religion, national or ethnic origin, disability or protected veteran status. The Technische Universität Ilmenau is a sponsor of the E-Quality standard. Both universities especially encourage women to apply. Applicants with disabilities are, in case of equal fit, skills and experience, favored during the application process. We are looking forward to hearing from you. Please send your application (including CV, degree certifications and possible references) to either: bewerbung@tu-ilmenau.de or daniel.baumgarten@umit.at. Applications are invited for a prospective PhD candidate at the Department of Neurology, National Institute of Mental Health and Neuro Sciences (NIMHANS), Bengaluru, India. The candidate will work on a Wellcome Trust/DBT India Alliance funded project involving Transcranial magnetic stimulation (TMS), EEG and MEG studies in patients with Parkinson’s disease. Candidates with strong technical background (Master’s degree in basic sciences/ engineering/ neuroscience) and prior knowledge of MATLAB are eligible to apply. Experience with EEG/MEG signal processing is a plus. Admission to the PhD program at the institute is subjected to the candidate qualifying the NIMHANS online entrance test and interview. The entrance test may be waived if the applicant has cleared any of the DBT/UGC/CSIR/ICMR qualifying exams. For further details on the PhD admission procedure, please refer to the prospectus on the institute’s website (http://www.nimhans.ac.in/sites/default/files/NIMHANS_Prospectus%202018-19%20Final%20%281%29.pdf) .